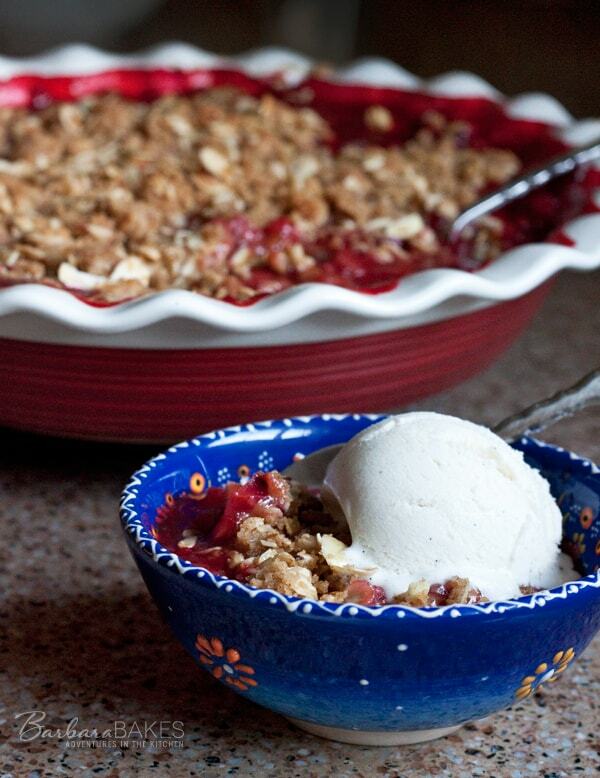 A tart rhubarb plum filling topped with a sweet crispy, nutty brown sugar oatmeal topping served pipping hot with a scoop of rich vanilla ice cream. Lorraine, Not Quite Nigella and I became fast friends after she helped me track down a turkey to cook for Thanksgiving dinner while we were visiting Sydney a few years ago. I call her my sweet, virtually adopted Australian daughter and she calls me Mum. She recently published a delightful, fun-to-read, delicious new memoir. Lorraine’s a talented writer and I admire her ability to weave charming tales of growing up and her daily adventures in to her blog posts. 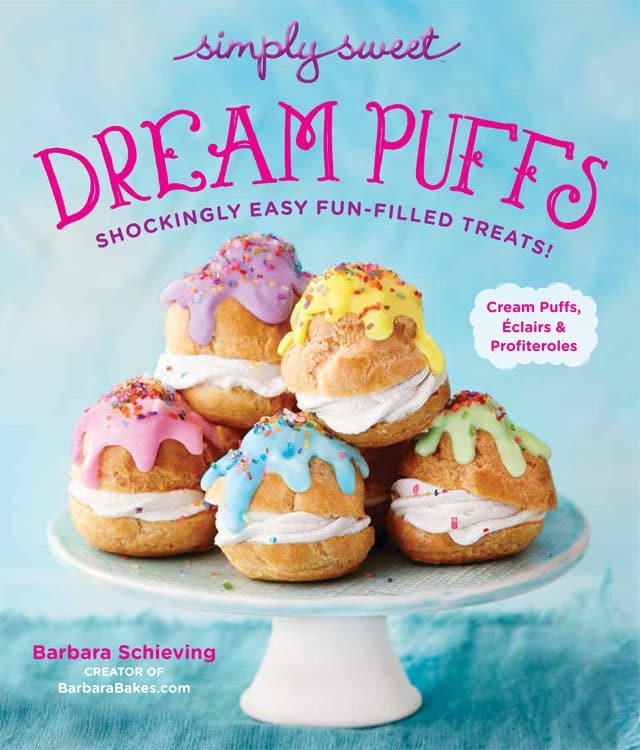 Her book is filled with the same humor, and she’s included scrumptious recipes at the end of each chapter of the book. “From passionate home cook to Australia’s most popular food blogger, Lorraine Elliott has her cake and eats it too – and she’s never been happier. 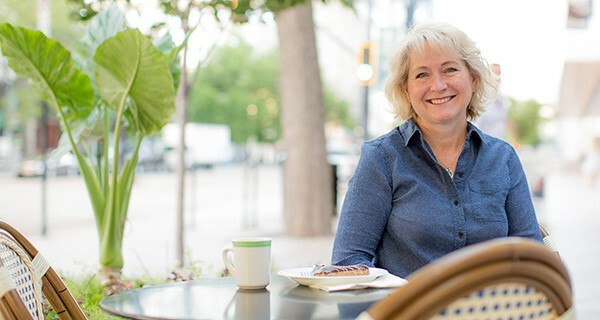 Lorraine Elliott has long been a food enthusiast who believes cakes belong in an art gallery. Not so long ago she decided to ditch her day job as a highly paid media strategist to cook, eat and write – even though she’s not quite Nigella. 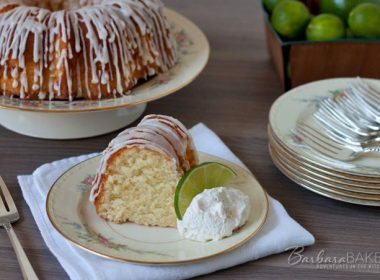 Now her fabulous food blog Not Quite Nigella is the go-to internet destination for hundreds of thousands of foodies from around the world. In chapter 3, Lorraine details how she met Mr. NQN and his eccentric family. The recipe associated with this chapter is a Rhubarb Plum Crumble. Since fruit crisps are one of my favorite desserts, I couldn’t wait to try the combo at home. I couldn’t decide what kind of plums to buy so we bought 3 different kinds. Some were sweeter than others, but when combined with the rhubarb the filling was pretty tart. 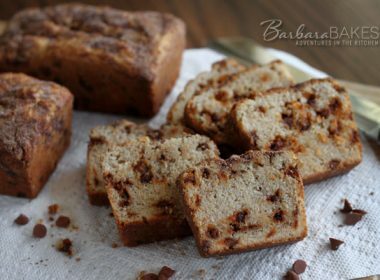 Perfect with the sweet crumbly topping and rich vanilla ice cream melting over the top. Preheat oven to 375º. Spray a deep dish pie plate or 9x9 baking dish with non-stick cooking spray. To make the fruit filling: combine the water, vanilla, cinnamon, sugar in a medium heavy-based saucepan and stir over medium heat until the sugar dissolves. Bring to a boil and simmer uncovered for 6-8 minutes or until the mixture is slightly syrupy. Add the fruit and simmer until just tender. Cool and drain the fruit of most of the syrup. You don't need the fruit to be bone dry, some syrup is still nice. Reserve the syrup for another use. Place the fruit in the prepared pie plate. To make the crumble topping: in a large bowl combine brown sugar, flour, oats, almonds, 1/2 teaspoon cinnamon and 1/4 teaspoon salt. Add melted butter and mix with a fork or your hands until mixture resembles crumbly wet sand. Sprinkle mixture evenly on top of fruit. 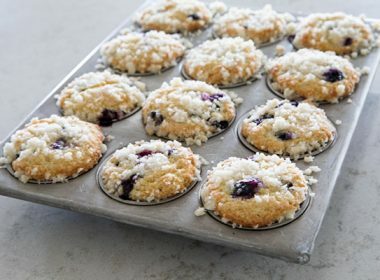 Place baking dish on a rimmed baking sheet, and bake for 20-25 minutes until golden. Let rest 10 minutes before serving. 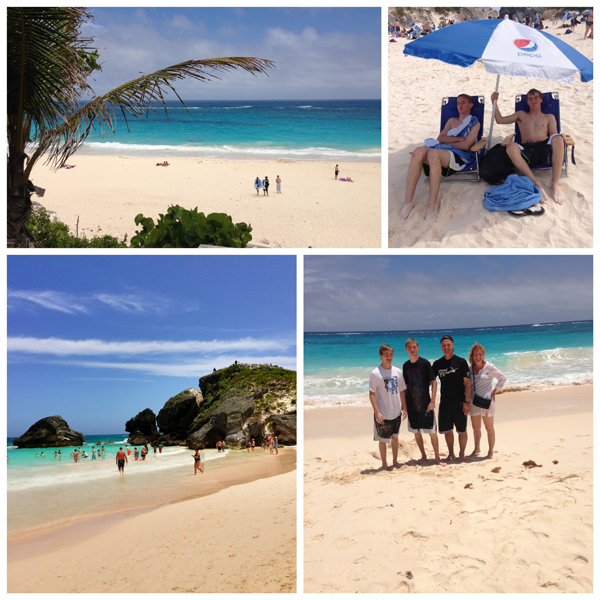 We just returned for a wonderful vacation to Bermuda. I couldn’t resist sharing a few of my favorite pictures. 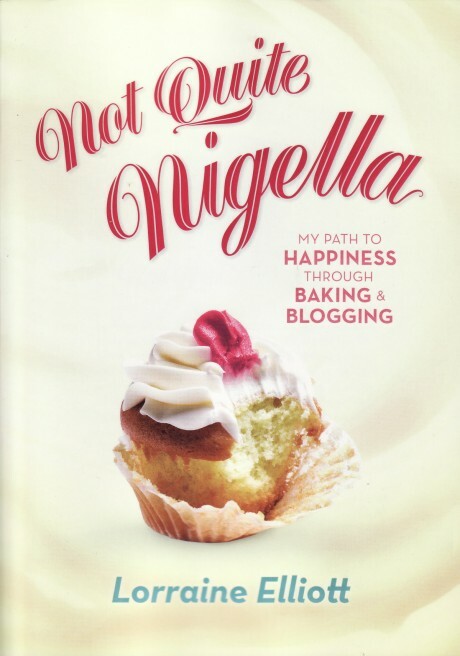 For those of us not living in Austraila, Not Quite Nigella the book is available as an ebook on Amazon! I took it with me on my trip to Bermuda and it’s a great, fun summer read. 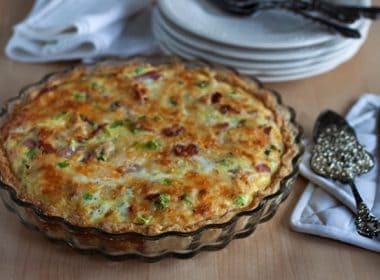 This looks delicious, I can’t wait to make this for my husband 🙂 we love rhubarb! I’m definitely thinking I need a trip to Bermuda. And some of this crumble. It looks fabulous! Wow, I want to see more Bermuda pics. I can only imagine what fun you had. What a great looking recipe too. this sure says summer to me! I will trade you my watermelon pie from today for this? It looks so delicious! What a fun Summer read that must be. And how fun you made the crumble, looks delish! Love the vaca photos too. The book sounds like ideal summer reading. I love the idea of combining plums and rhubarb into a lovely crumble. The scoop of vanilla ice cream is the perfect topper. 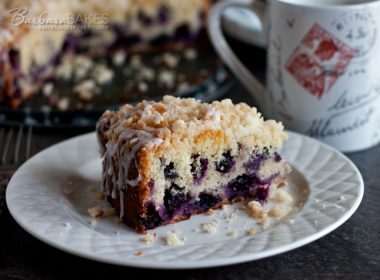 A delicious fruity crumble! 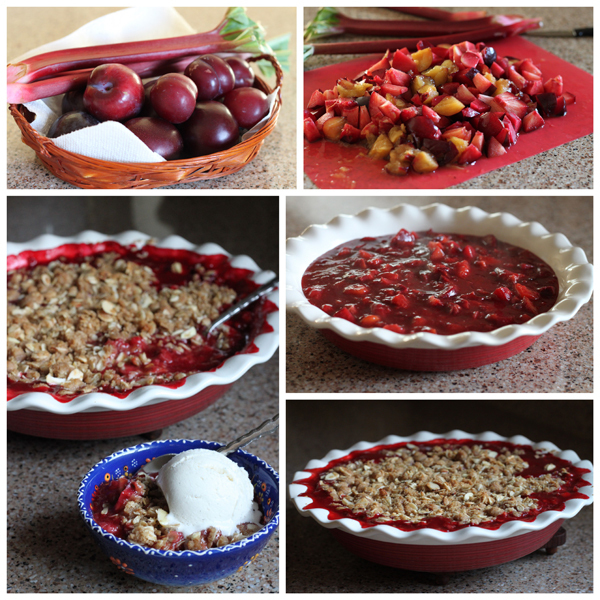 I love the combo of plum and rhubarb. This is such a stunner! Yummy! I love her blog. I will download this to read on my vacation next week to Montana. A wonderful crumble and book!